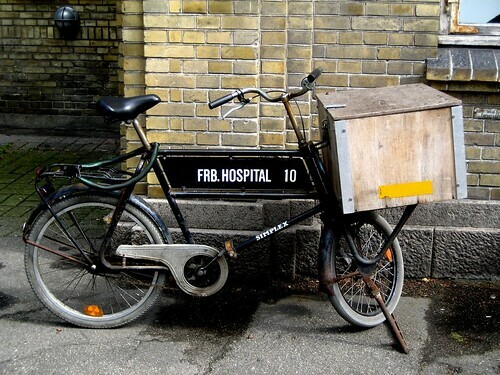 FRB Hospital Bike, originally uploaded by [Zakkaliciousness]. This design of bike have been the workhorses of Copenhagen for decades. This one was spotted at Frederiksberg Hospital. It's used, I believe, for delivering internal post around the large complex.